New this fall at select McCafe Canada locations…grab a mug and go! It's the Year of the Dog! And to celebrate, PRADA launched it's seasonal fragrance packaging, featuring my work, worldwide in February 2018. Xīn nián kuài lè! Over the chilly winter months I did a little reading up on our friends the bees, and turned that fascination into a series of info-logos that celebrate the hive. Facts & figures were developed into a fun collaboration with local beekeeper Chris Campbell of Hiveshare. For detailed posts check out my Instagram feed @tracywalkerart . This summer I'll be enjoying my own honey, thanks to Hiveshare. Local, unpasteurized, artisanal honey at it's best from local fields & wildflowers...yum! Play is the Thing! I couldn't help but have a little fun with this assignment for Live Happy Magazine---the value of play as a part of the everyday. From gaming to hoops in the office, it's not just for kids anymore! We're eating ourselves out of house and home...staggering statistics & the future of food in this infographic for Scholastic Choices Magazine. 'A Canticle for Planet earth'...the Pope's message on environmental issues echoes the teachings of St. Francis. 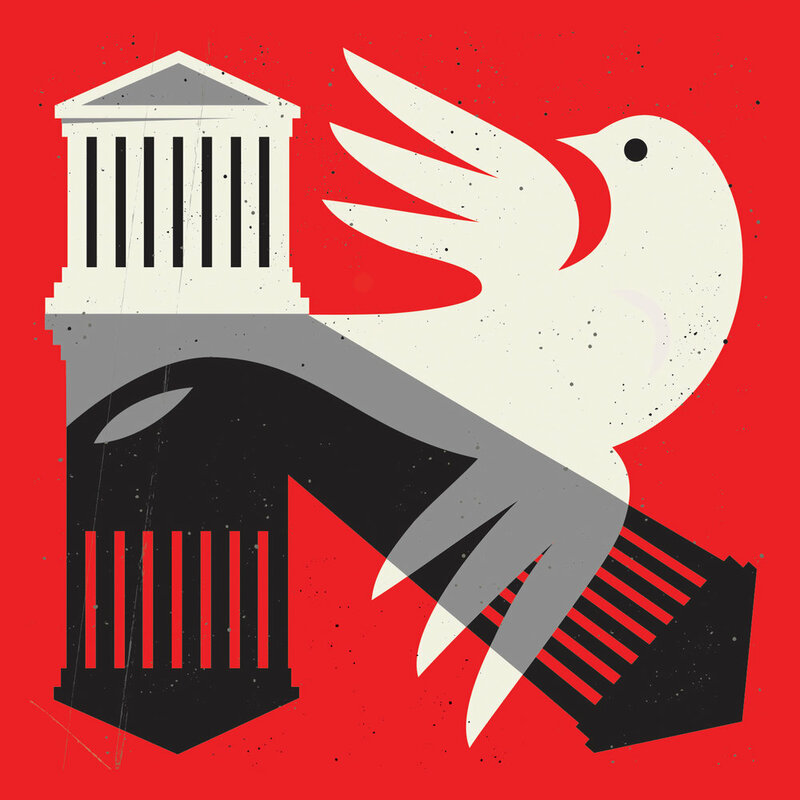 Illustration for Notre Dame Magazine. A few new pieces for fall, and a bit of fun! 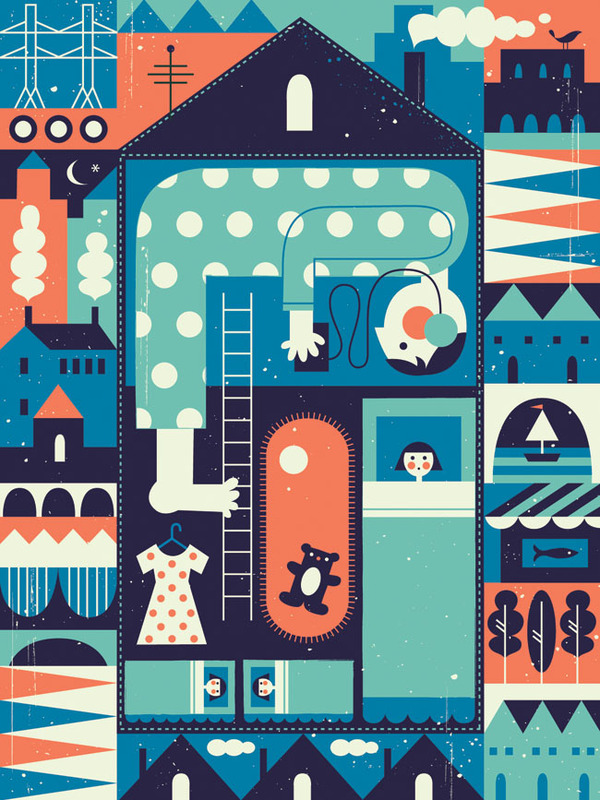 New work for Penn Gazette that focuses on a student's life-long experiences with living in close quarters. 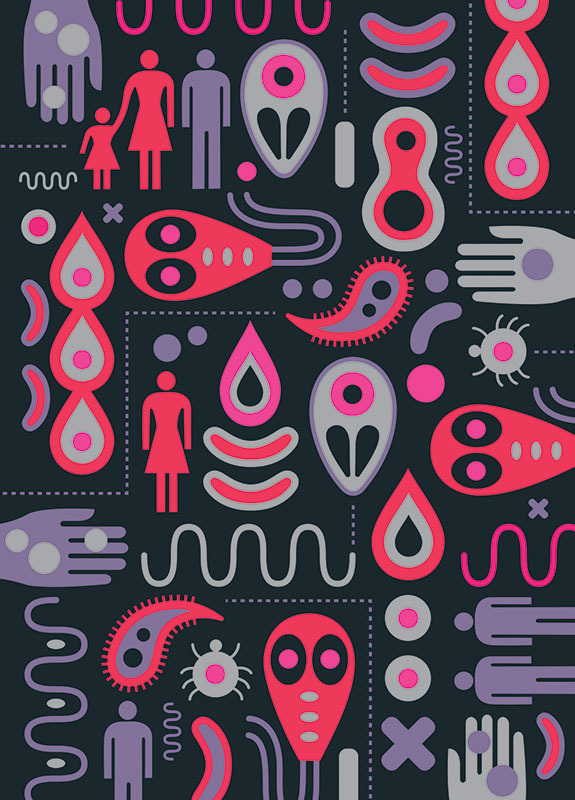 New work for Penn Gazette, for an article entitled 'Bridges to Health'. Thanks to the Penn-based program Puentes de Salud, low-cost healthcare and services are now available to uninsured Philadelphia immigrant populations, many of whom are Latino. It was this connection that I wanted to celebrate in the art by bringing in the graphic, folk-art feel of Latin American embroidery. 'Nightowl' is the latest in a series of mid-century-inspired archival prints, created for my Etsy shop. 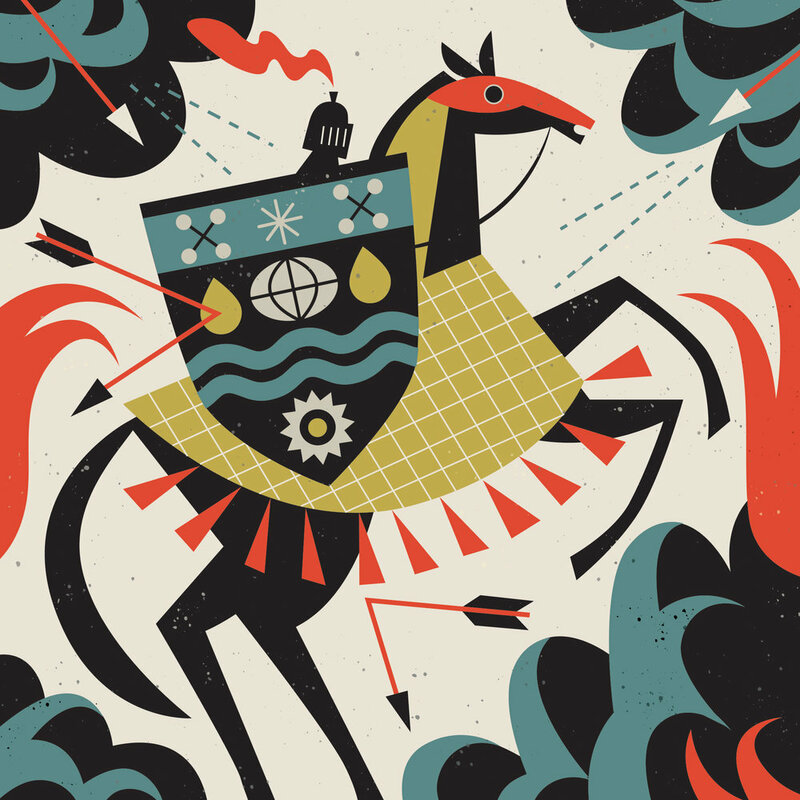 I've just wrapped up a really fun project for Imperial College London. Each year Imperial holds an alumni event for graduates and their families. 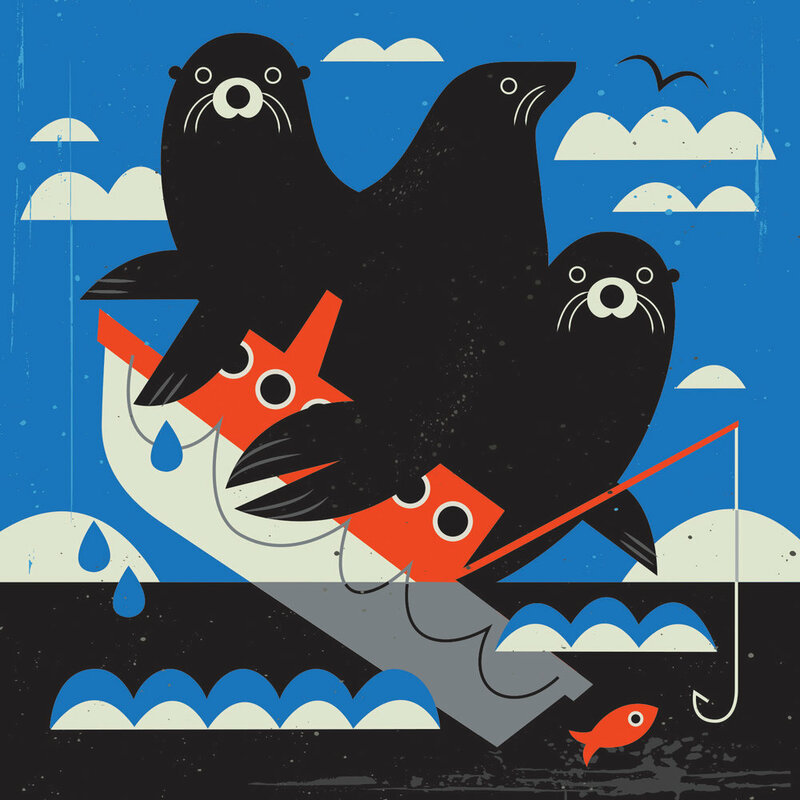 My job was to create a design for a t-shirt, and several shadow puppets to be laser-cut. All this as part of a fantastic loot bag for the kids, complete with a flashlight, for this year's theme 'the year of light'! Today's Parent recently commissioned me to create these sweet horoscope icons for the wee ones. With spring on the way, it's got me thinking about the cherry blossom festivals, or 'Hanami', that take place in Japan and around the world. 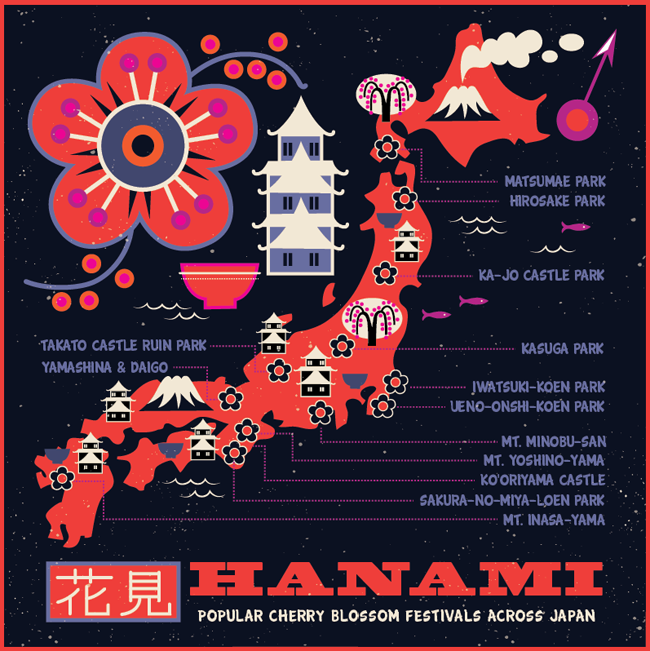 What better way to emerge from winter than with some research into the topic, and a brand new illustrated map of Japan's most popular spots to celebrate the spring bloom. 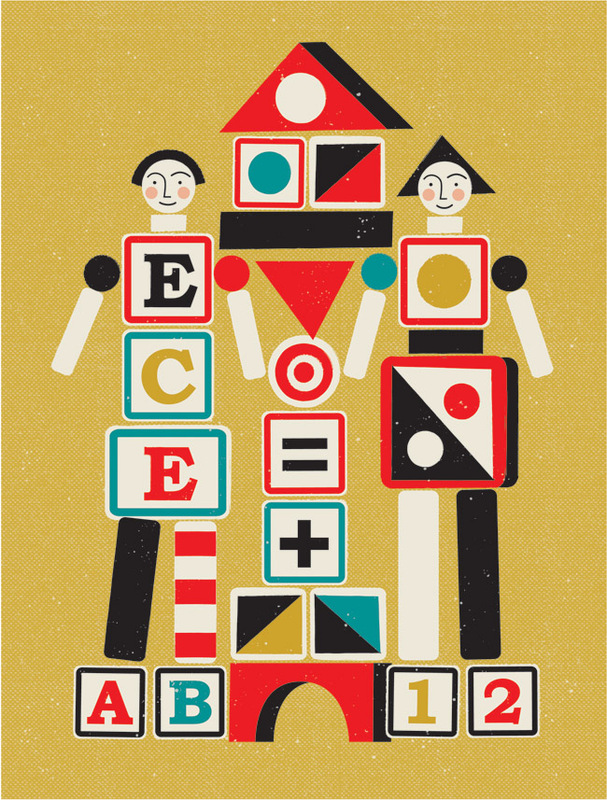 New work for Education Forum Magazine looks at the roles of teacher's & ECE's in the classroom...'different but equal'.